Special thanks to the contributions by Zebulun Benbrook of Welcome To Loud City (WTLC) and by one of the smartest basketball minds I know, Max Trueblood (MTB). 1) With the recently finished strike shortened season, a trip to the Finals, and involvement in an Olympic tournament, how do you think Scott Brooks will handle Kevin Durant, Russell Westbrook, James Harden, and Serge Ibaka during training camp? NTTB: I think they will limit their availability in preseason games, but I don’t think they will limit their training camp practice time. Last season, teams hardly got any practice time due to the compacted schedule. Less practice time meant less time to try new schemes and less time to build cohesion. Luckily for the Thunder, they brought back their entire core and all of their coaching staff from the previous season and didn’t need the practice time in training camp to indoctrinate new players or learn new schemes. This year it’s more of the same, but with more time for practice. Despite their age, the Thunder are a veteran team and the extra practice time will be invaluable to the younger Thunder players, such as Reggie Jackson, Cole Aldrich, Perry Jones III, and Hasheem Thabeet. WTLC: Once players get to a certain point of their careers, I think you’ve gotta give them room to breathe. Durant and company have proven themselves in the context of the NBA, and while they have room for improvement, they’re pretty much known quantities in the sense of what they can and can’t do. My thought is that Training Camp will focus on the younger guys on the team, like Cole Aldrich, PJ III, and Reggie Jackson. And I’d like to think that it will focus on trying to get them adjusted to the team, rather than improving a certain skill. 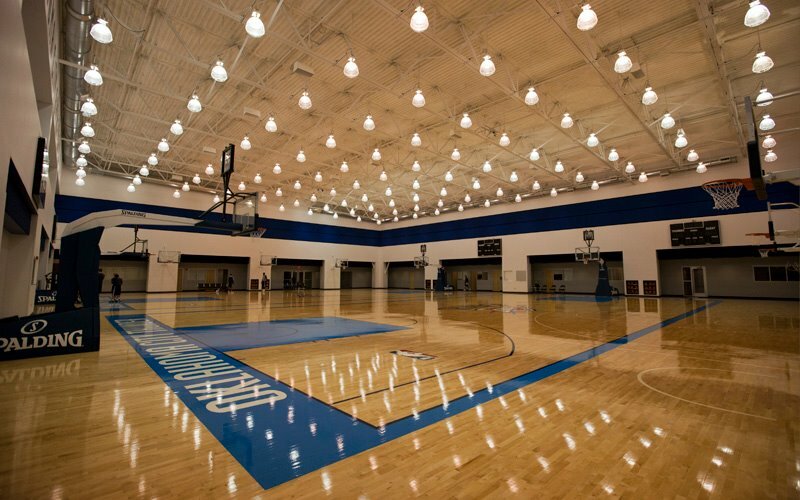 The Summer League and D-League are more focused on personal improvement, in my opinion. As for the stars, I’ve gotta think Scott Brooks will make it business as usual. Everybody’s extra motivated after the Finals loss, and they are coming off of a break, even if it is shorter than normal. The NBA season is a long grind, and if you can’t make it through training camp, you probably won’t be able to make it through the dog days of January, either. I think what’s important to remember is that part of the reason Tim Duncan is so successful is that, even in his old age, he still allows Gregg Popovich to coach him like he was a rookie. It sends a message to the rest of the team about how to act, and what it takes to make it to the top. 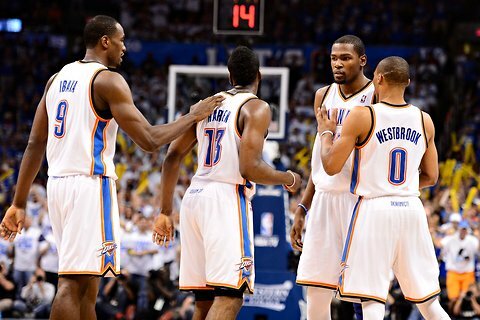 If Durant, Westbrook, Harden, and Ibaka act the same way, then we’re in for a long road of success. MTB: I’m usually not a fan of preferential treatment for superstar players but given the busy off season for the “Big 4”, I wouldn’t have a problem with them getting a few days off here and there. Let’s not forget, this has basically been 3 straight busy off seasons for KD. He had the World Championships in 2010, then played in just about every street ball game imagineable last summer and of course the Olympics this time. 2) Out of Daniel Orton, Hollis Thompson, DeAndre Liggins, and Andy Rautins, who earns the coveted 15th spot on the team, and why? NTTB: I’d say it’s a two man battle between Hollis Thompson and DeAndre Liggins. These two players are both long, which fits into the Thunder’s DNA, with Liggins being more defensive minded, and Thompson being more of a 3-point shooter. With so much of the offense being predicated on dribble penetration, the team would probably benefit from another shooter on the team. So, I would give the nod to Thompson, with Orton, Liggins, and Rautins leading the Tulsa 66ers the NBDL title. WTLC: Well, that’s a tough one. I haven’t seen too much of Hollis Thompson, but he’s pretty much the Perry Jones of the second round. He was considered a legitimate prospect and worked out for several teams, but a lot of teams decided to draft and stash Europeans with their later picks, letting him fall off the board. It really depends on how well he can return from his groin injury, and whether he’s really enough of a scorer to be considered better than Daequan Cook, or Andy Rautins. Rautins will be a good litmus test to see how good Thompson really is. Rautins is an excellent shooter, but he’s not very dynamic, which is why he’s never really caught on in the NBA. I’d only see him making the roster is Thompson doesn’t really pan out. The strongest candidate, aside from Thompson, to make the roster is DeAndre Liggins. He didn’t get too much time with the Magic last year, but he was very efficient in how he played. He never took an unreasonable shot, and he he has good defensive awareness. He’s kind of like Kyle Weaver, but with a bit less energy. The big knocks on him are that his shot is extremely inconsistent (he’s airballed open threes) and that he works best under a slow pace, which doesn’t help when you’re playing with a fast breaking team like the Thunder. The other guy on the list is Daniel Orton, but I think he’s really only there for the hometown appeal, as he went to Bishop McGuiness. When you see how many big men the Thunder have stockpiled, and the fact that Orlando didn’t re-sign him despite being really thin at center, seeing him make the roster seems like a pipe dream. MTB: I’m going to roll with Andy Rautins on this one. I think the Thunder have tons of athleticism so an athlete like Liggins or Thompson isn’t really needed but with the team possibly cutting back on bench payroll in anticipation of retaining Harden at a max salary, I could see Presti seeing if Cook has a short term replacement and that would be a shooter. Rautins is the best of the group. 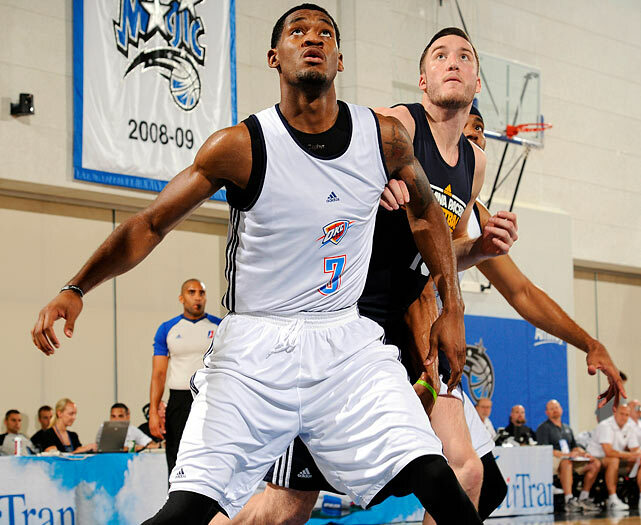 3) Heading into training camp, how will Perry Jones IIII fit into the rotation, if at all? NTTB: With Kendrick Perkins coming back from two offseason surgeries and Nick Collison bound to suffer from one of his yearly training camp injuries (sore groin, sore ankle, sore knee, etc), I’m pretty sure we’ll get some idea how he will fit into the rotation right away. He’ll get a lot of reps in practice in our small ball lineups and that’s primarily where I see him being used in the rotation during the season. WTLC: He won’t be a rotation guy. There’s too few minutes to split with Cole Aldrich, and Thabeet is probably ahead of him due to his previous NBA experience. It really all depends on how he does in training camp, but I don’t think he’ll see regular minutes unless there’s an injury or Cole Aldrich doesn’t live up to expectations. 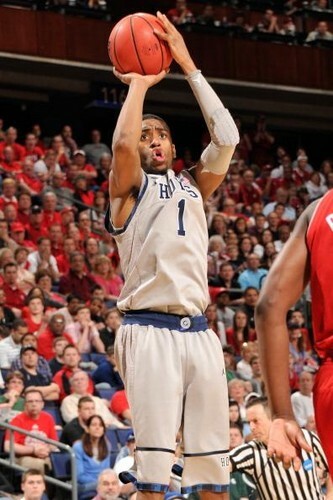 MTB: I wouldn’t mind seeing Perry get some time in the D league this year. If Serge or Collison get hurt, he can always be called up from Tulsa. I don’t know enough about Jones to really gauge where his confidence is but lots of young players lose confidence when they get drafted well below where they were expected to be taken. Of course, there are exceptions. Rashard Lewis and Deandre Jordan come to mind. But getting big minutes and success on the D league level could wind up being what’s best in the long run for him. 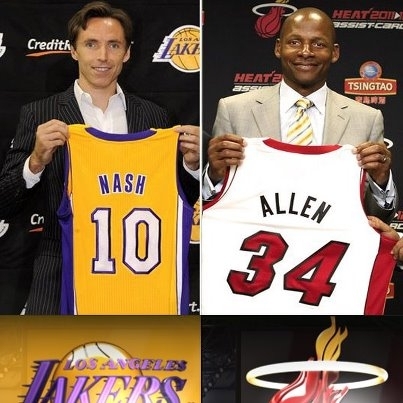 4) With other teams making significant moves to get better (Lakers acquiring Dwight Howard and Steve Nash / Miami acquiring Ray Allen and Rashard Lewis), is there any way that the Thunder got better without making any major moves? NTTB: I think we’ll get better organically because of our youth, but the line on the organic improvement line graph is probably starting to plateau. There’s probably not much more that these guys can do, besides averaging a triple double for a season, that would register as far as team improvement goes. Getting Perry Jones III in the draft negated any necessity to obtain a scoring big. I expect the Thunder to be a big player after the trading deadline, though, for a veteran big man. WTLC: Well, we got better in the sense that we’ll have another year under our belts to develop. How much that will translate into next year remains to be seen. The Thunder were really sputtering late in the season, dropping a lot of winnable matchups and letting non-playoff teams come back from huge deficits. But when you get right down to it, the Thunder have the talent to beat the Heat and the Lakers. What they need to do is come up with more creative solutions for their obvious flaws. But on a tangible level, there is improvement in sight. Cole Aldrich might be more of an offensive threat than Nazr Mohammed was, and he was working on a hook shot while in the Summer League. Kendrick Perkins will be fully recovered from his injury. Eric Maynor will be returning, offering a steady offense and a refreshing break from Derek Fishers’ 0fers and terrible defense. Serge Ibaka’s jumpers are getting come consistent. And, of course, James Harden will have had the experience of being on a boat. MTB: I think the Thunder got better just based on the fact that their star players haven’t hit their prime years yet. It’s rare that All star caliber players take a step back before they hit their prime so I see the Thunder getting better via the internal improvement route. 5) Are the Thunder now this season’s participant in the reality show drama known as the “player vs team negotiation” game that the media will incessantly babble about for possibly the next 300 days? NTTB: I don’t think so. There are two players out in LA that will be causing a bigger stir with their impending free agency (Dwight Howard and Chris Paul). Plus, the Thunder organization is very hierarchal in nature, and if the top (owner Clay Bennett and GM Sam Presti) remains quiet, you can bet the bottom (players and coaches) will remain quiet. This will not be an issue at all this season. It wasn’t an issue when Westbrook’s extension was in play and it won’t be an issue with Harden’s being in play. WTLC: Yes, 100 times yes. If there’s one thing the media love to babble on about, its’ contract negotiations. Nevermind the fact that the Thunder are a title threat now, what are we going to do when Kevin Durant comes off of contract in 2016?! Aye aye aye. Just bring on the basketball, man. I’ll worry about the size of James Harden’s penthouse later. MTB: I sincerely hope not. I’m really hoping that Presti and Harden’s representation can just come out and say that they will table negotiations until next summer. 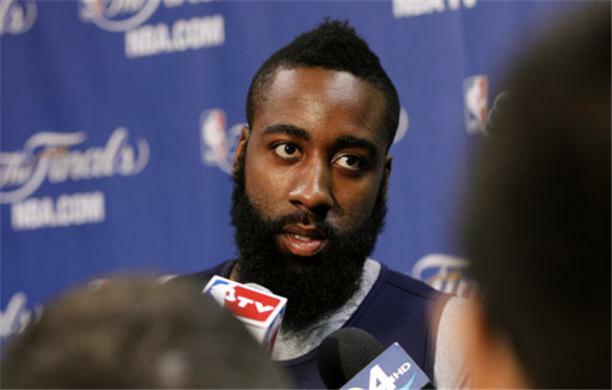 That will take the media out of the picture and will simultaneously take the pressure of Harden. Let’s see what type of numbers he can put up and then negotiate a contract based on production.